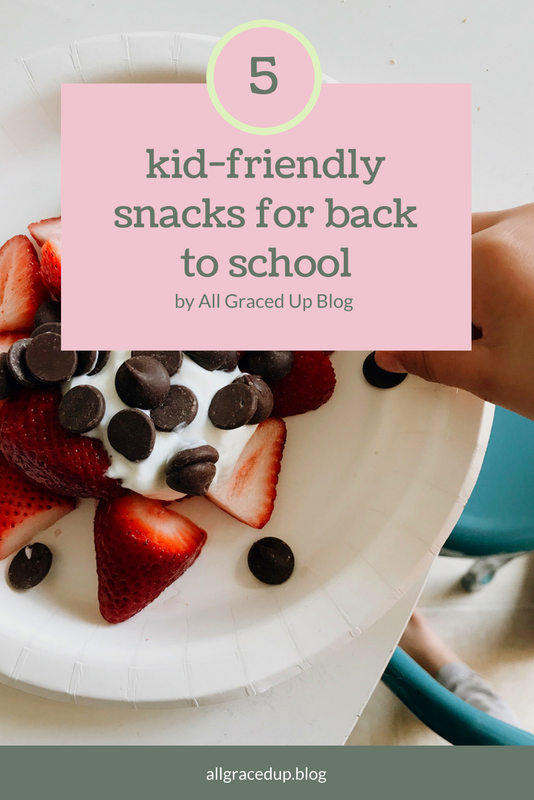 Here are four kid friendly snack and/or dessert ideas that you can enjoy as a family after school, for breakfast, or include in their lunchbox. You can even meal plan these snacks for a quicker option & so you aren't scrambling for an after school snack. As you can see, I took three ingredients (pictured below); greek yogurt (about 3 T, per cup), strawberries (about 1 cut up, per cup) & dark chocolate (1 square, per cup) & froze for about an hour. This is so easy & can actually be put on your list of meal prep items for the week. They're sweet & will satisfy that tooth, yes, you know the one. They will need to be thawed a little before eating, if kept in there for any longer & time will vary according to freezer setting. My husband recommended adding a little bit of honey to each cup. I suggest putting the ingredients in a cupcake holder first so they're easier to pull out of the cups, once frozen. I once saw this one a Disney Junior segment & we tried it when the kiddos were little, but I saw it again through my Pinterest feed. After freezing the bananas I threw into my food processor, then into a small bowl, added dark chocolate chips & coconut chips. You can also store the remaining to freeze. Three bananas made about 3-4 small cup servings. Peel, then freeze, take it from me, ha! I added chocolate chips & coconut chips. It was delicious! Here, we added greek yogurt, strawberries & chocolate chips. This was by far our favorite! This was creamy & delicious. This is a healthy treat that you can send in your kids' lunchbox. They won't be sad about the chocolate portion of it. You can really use anything you have in your cabinet that's fun & healy(ish). For an after school snack, we love ice cream. Especially since we're in the So Cal heat & the early months of back to school seem to be the hottest. This really is a healthier sweet option & it was delicious. It was a little on the pricier side, but a good option for a sweet treat. I hope you find peace & grace in the busyness of back to school season. If you have any healthy snack ideas, please share them below!